The implications of these considerations on the difficulties in identifying the pattern of relationship of observations to concepts—difficulties both of proper separation and of properly establishing linkages (the inferential process) in the face of the layered remoteness of the one from the other and the multiply varying, multiply determined and, moreover, multiply over-determined connecting links—are that among the central tasks of psychoanalytic clinical research are those of making both descriptions and inferences as explicit, as ‘public’ and as objective as possible, and of tracing and specifying as much as possible the relationships between observations and concepts, all as essential prerequisites to the establishment of reliability of intersubjective judgments. The pitfalls in the way are many. Space considerations allow mention of only one at this point. In proper pursuit of the task of relating the surface to the depths, the strategic emphasis may well be the reverse of the more obvious direction. Since the theory specifically denies an isomorphic relationship between discrete behaviors (thoughts, actions) and intrapsychic states, and since the rules for inferring underlying processes from the data of observation can only be specified in the least complex and often in the least informative of instances, it may not be possible to proceed very far in the discovery or the reconstruction of complex underlying states from the configurations of elementary observational building blocks. We should expect to work more the other way—that is, to start with the more overarching concept, to differentiate its components and their various possible pathways of representation and to discover thereby their array of possible empirical referents in the data of observation. Third, what is meant by the use of clinical judgments or inferences as ‘data’? In the whole process here described of according explanatory importance to both observation and inference and the fullest explication of the inferred pathway as well, the underlying state, or inferred intrapsychic organization, takes on an at least co-equal position as a relevant and manipulable base of knowledge. Sargent (1961), in an article establishing the methodological undergirding of the Psychotherapy Research Project of The Menninger Foundation, persuasively argued the viewpoint that the essential data of the whole clinical research enterprise are not behaviors or verbalizations, important as these are, but the patient’s intrapsychic organization as ‘seen’ clinically through these—that is, the essential data are the clinical judgments. The reader is referred to Sargent’s (1961) own paper for the fuller exposition of this position, the anchoring of an entire research enterprise in clinical judgments as its essential data and the manifold implications of this position for the methodological issues of psychologic science in its own right and in its place among the array of sciences. This position has not been argued uniquely by Sargent or from the area of therapy research alone. Schafer (1967), in discussing the uses of projective test data for clinical research purposes, developed the same point: ‘the research unit should be interpretations and not scores or theme counts. Only then may we continue to work in context, which is to say, work with clinical data clinically. Scores, content, sequences, attitudes, behavior, and style of verbalization must all feed into the interpretations. Anyone of these by itself is not a reliable, specific, and hierarchically localized indicator’ (p. 81). Fourth, we have the consensus problem, or what to do when experts disagree. What Seitz (1966) has called the consensus problem in psychoanalytic research poses the curious paradox of being inherently probably the most difficult issue to contend with in clinical research, both conceptually and technically, and, at the same time, one that is studiedly under-emphasized in the empirical and theoretical clinical research literature. This issue becomes crucial to any situation involving complex interpretive judgments based on inference; it does not operate importantly in the instance of simple reliability tasks performed upon sensory observational data. 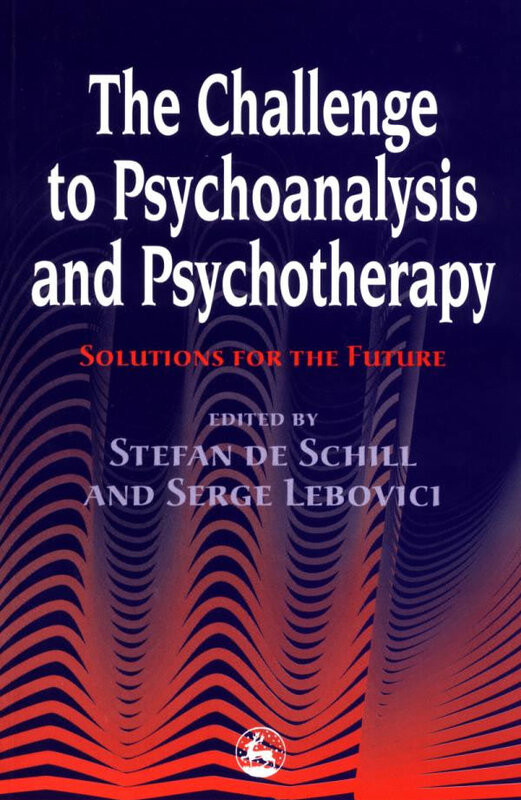 It is such a special problem for psychoanalysis precisely because psychoanalysis is so centrally dependent upon interpretation and, at the same time, as Rapaport (1960) has stated, ‘there is as yet no established canon [in psychoanalysis], for the interpretation of clinical observations’ (p. 113). Seitz (1966) reported one of the few clinical research projects, called the Consensus Research Project, which was directed squarely to the effort to surmount just this dilemma. The project was disbanded after the three years of work by Seitz and his seven senior analytic colleagues from the Chicago Institute of Psychoanalysis. The write-up referred to the work as a report of the failure of a research because of the ‘inability [over that time] to make progress in developing a reliable interpretive method, i.e., a method that would yield greater consensus among a group of analysts in making independent formulations of the same case materials’ (p. 210). (2) The principle of over-determination is related to, but distinct from, the above, though often confused with it. Here the consensus difficulty becomes further compounded since, beyond the array of necessary and sufficient causes to psychic events called for in the concept of multiple causation, there can be an additional superfluity of over-sufficient causes. Once the elephant is fully and adequately described by bringing together the variety of partial perspectives into an integrated whole, there can still be additional descriptions, each of which—for example, each of the metapsychological points of view—can be sufficient description to account for the entire elephant (the phenomenon under description). With regard to this concept, we have already quoted in part from Rapaport’s (1960) statement of the need for it in the theory of psychoanalysis. (3) A much less noted problem for the consensus search has to do with the probabilistic nature of patient-states. Chassan (1957) has especially elaborated the implications of this perspective. He said: ‘It is easy to argue from this point of view that the inability of coefficients of stability to become and to remain high is more a reflection of the underlying probabilistic aspects of patient-states than of any particular deficiencies in the testing procedures’ (p. 167). He illustrates this issue from an area of ‘harder’ data with reference to the now classical studies on the major internal inconsistencies revealed when the same panel of outstanding radiologists each reread the same chest X-rays for the presence of minimal tuberculous lesions. With regard to the startling extent of the failure to agree with oneself demonstrated by this study, Chassan (1957) could, of course, state that ‘the phenomenon of a tuberculous minimal lesion … is a state or a process which can be said to be entirely uninfluenced by the mere act of observing it on an X-ray plate, and the goal of complete agreement between all investigators is entirely unambiguous’ (p. 170). In contrast, psychoanalysis is a study of interpersonal relationships, participant observation is a basic phenomenon of the therapy, countertransferences operate, etc—all reasons for increased uncertainty and variability of interpretation. In the face of these formidable difficulties in the way of reducing, ordering an making summarizing judgments about the data of psychoanalysis, are there roads which nonetheless point in the direction of solving or at least mitigating the restrictions imposed thereby on empirical research yield? The problem, as we have developed it, is that we cannot reasonably work from the two platforms chiefly advanced in the research literature. The first is based on the attempt to get rid of the clinician, so to speak—that is, to be free of the vagaries of clinical judgment—by the research focus on observables and measurables, on the raw observational data of manifest behaviors alone, applying then the usual statistical analytic techniques to determine their reliability. The limitation here, so clearly stated by clinician to researcher, is that these observables and measurables do not take on meanings—neither singly nor in combinations that can be inductively built up—except by interpretation in the light of concepts of varying degrees of remoteness from and varying kinds of relationships to the data, all beyond the scope of the statistical manipulations. The alternate approach is based on maintaining the skilled clinician and attempting to work from his ordinary (which can mean highly experienced) clinical interpretive judgments. The limitation here, stated equally clearly by researcher to clinician, is the consensus problem that renders these judgments not reliable enough, or rather not even sufficiently about the same things, and with a largely undetermined, and to a certain extent indeterminate, degree of difference in the things being judged. This is the problem started so cogently by Seitz (1966). The work of his project, involving highly skilled and experienced analytic collaborators investing large quantities of time, zeal and research sophistication in dedicated pursuit of this goal of consensus in clinical interpretive judgment, is eloquent testament of the incapability of such a quest set in these terms. To seek more from that process is to ask more of the clinician judge and the concepts he essays to judge than they are, in effect, ‘calibrated’ to bear. Two other strategies less tried within psychoanalysis, derivatives and extensions beyond these seem to use more concordant with the complexities of the issue at hand. The first is that of the Psychotherapy Research Project of The Menninger foundation. The basic stance here has consisted of the effort to ‘refine’ ordinary clinical judgment through a variety of operations, in part already alluded to in this chapter. To the extent that judgments about variables, successively refined, can give rise to judgments (of heightened agreement, consensus or of known degree of disagreement, dissensus) from which empirically testable predictions can be generated, a method of successive approximations has been evolved for pushing clinical judgments of complex psychological events in the direction of more reliable, hence more measurable, statements. Put another way, such a research approach rests not on the precise measurement of behavioral observables of varying degrees of relatedness to the underlying organizing constructs but on complex assessments (clinical judgments about the configural meaning of behaviors) that are, however, successively refined and then made to bear the burden of empirical testing via predicted consequences. It is the circling back from the observed consequences that strengthens or weakens the credibility of the inferential process built into the clinical judgments and it is the attention to the refining process that renders these inferences more visible, hence asymptotically correctable. An alternative approach to these same issues is exemplified in an ongoing therapeutic process study within the San Francisco psychoanalytic Institute in which, rather than attempt to refine the clinical judgments relating to the organizing constructs, the effort is systematically made to more tightly link the constructs to their observable consequences. The strategy is to use careful clinical judgment to hypothesize relationships and then to seek out the behavioral consequents that should be evident if the relationships are as postulated—that is, to find the behavioral events that would correspond to the dimensions of the relationship. The final testing point is then in behavior observation that can be subjected to the usual specifications for reliability and validity. Both these strategic approaches exemplified in the two psychoanalytic therapy research projects then take into account the problem of the remoteness of concepts from observations as well as of the potential for confounding the two—both too are anchored at crucial points in mensurable behavioral data. The varying but very partial degrees of success achieved to date by efforts in these directions lie in the difficulty of execution. This tendency to circularity becomes inevitably built into any science relying predominantly upon the clinical retrospective method for the gathering of its data and the confirming of its hypotheses for if we have no uncontaminated way of assessing the relative strength, the balance of forces falls short of the criterion behaviors that are predicted to—that is, if we are only able to judge the antecedent state of affairs after the fact by observing the outcome, we are in a circular bind. Waelder (1963), like Freud (1920) before him, advanced just this viewpoint on the difficulty, in principle, of making clinical predictions: ‘i.e., a tendency is proved to have been the stronger one by virtue of the fact that it has actually prevailed’, which completes the circle to ‘We cannot predict the outcome through measurement of the strength of the forces involved if we need that very result to make the measurement’ (p. 39). The dilemma, so stated, would be insoluble in these terms if clinical research in psychoanalysis had to be strictly confined to observance of the clinical retrospective method, which was indeed the classical method of investigation used by Freud in his studies of symptoms, dreams, etc. This very powerful model which worked so successfully for Freud in unraveling the mystery of the dream, as well as his own psychic structure, then became the cornerstone of the clinical method for the study of both the abnormal and the normal phenomena of mental life. Its limitations have only subsequently become evident as psychoanalytic science has begun to move from the generating of hypotheses to the more rigorous testing of these formulations, when just such issues of hidden circularity arise. It is at precisely this point that the classical experimental model, in which antecedent conditions are specified and controlled in advance and the subsequent consequences are then independently observed, has its locus of most potent application.